Background Physical activity has many health benefits. Although greater activity has been related to lower postmenopausal breast cancer risk, important details remain unclear, including type, intensity, and timing of activity and whether the association varies by subgroups. Methods Within the prospective Nurses' Health Study, we assessed the associations of specific and total activity, queried every 2 to 4 years since 1986, with breast cancer risk. Cox proportional hazards models were used to calculate hazard ratios (HRs) and 95% confidence intervals (CIs). Activity was measured as hours of metabolic equivalent task values (MET-h). Results During 20 years of follow-up (1986-2006), 4782 invasive breast cancer cases were documented among 95 396 postmenopausal women. Compared with less than 3 MET-h/wk (<1 h/wk walking), women engaged in higher amounts of recent total physical activity were at lower breast cancer risk (≥27 MET-h/wk [approximately 1 h/d of brisk walking]: HR, 0.85; 95% CI, 0.78-0.93; P < .001 for trend). Compared with women who were least active at menopause and through follow-up (<9 MET-h/wk [approximately 30 minutes of walking at an average pace on most days of the week]), women who increased activity were at lower risk (<9 MET-h/wk at menopause and ≥9 MET-h/wk during follow-up: HR, 0.90; 95% CI, 0.82-0.98). Among specific activities modeled simultaneously, brisk walking was associated with lower risk (per 20 MET-h/wk [5 h/wk]: HR, 0.91; 95% CI, 0.84-0.98). The association with total activity did not differ significantly between estrogen and progesterone receptor–positive and –negative tumors (P = .65 for heterogeneity). Conclusion Our findings suggest that moderate physical activity, including brisk walking, may reduce postmenopausal breast cancer risk and that increases in activity after menopause may be beneficial. Physical activity provides many health benefits, including weight loss and maintenance, improved insulin sensitivity, and improved lipid profile.1 Physical activity has been shown to decrease circulating estrogen levels in postmenopausal women,2,3 and lower circulating estrogen levels are associated with lower breast cancer risk.4-7 Many prospective studies have investigated the association between physical activity and breast cancer risk, with most finding a 10% to 30% lower risk comparing the highest with the lowest activity levels.8-19 In addition, a systematic review concluded that physical activity was a probable factor in reducing breast cancer risk in postmenopausal women.20 However, the literature still contains gaps, particularly regarding the timing, type, and intensity of activity that are required to achieve a reduced breast cancer risk. Given that most prior studies had only 1 assessment of physical activity, it is unclear whether recent or past activity is important or whether an inactive postmenopausal woman can reduce her risk by initiating regular exercise. In addition, inconsistencies remain regarding whether the associations vary by other lifestyle factors, such as body mass index (BMI; calculated as weight in kilograms divided by height in meters squared) and use of postmenopausal hormones (PMH), or by tumor hormone receptor subtype. We examined the associations of physical activity with breast cancer risk among postmenopausal women in the prospective Nurses' Health Study. This study expands upon an earlier Nurses' Health Study analysis with follow-up through 1996 (3137 cases of breast cancer, including 2101 postmenopausal cases) that documented a lower breast cancer risk with moderate/vigorous activity.21 Using data updated every 2 to 4 years and an additional 10 years of follow-up, we investigated the importance of long-term and recent activity, change in activity, and specific types of activity. The Nurses' Health Study began in 1976 when 121 700 female, married, registered nurses, aged 30 to 55 years, responded to a mailed questionnaire.22,23 The study population is 97% white. Information on lifestyle factors, including many breast cancer risk factors, and new disease diagnoses was collected on the initial questionnaire and has been updated biennially throughout follow-up. This study was approved by the Committee on the Use of Human Subjects in Research at the Brigham and Women's Hospital. Follow-up began in 1986 when detailed data on physical activity, including specific activities, were first collected. The analysis includes only postmenopausal women. Women were classified as postmenopausal at the first report of natural menopause or surgery with bilateral oophorectomy, which has been validated in this cohort.24 Women who reported hysterectomy without bilateral oophorectomy or whose type of menopause was unknown were not classified as postmenopausal until they reached the age at which 90% of the cohort had reached natural menopause (54 years for current smokers and 56 years for nonsmokers). At the start of follow-up in 1986, we excluded those who had died or had previous cancers except nonmelanoma skin cancer (n = 10 402) and women missing all measures of physical activity throughout follow-up (n = 10 602). Of the remaining 100 697, women entered the analysis in 1986 if they were postmenopausal or in the follow-up cycle after they first reported becoming postmenopausal. We excluded deaths and cancer diagnoses at each questionnaire cycle, resulting in a study population of 95 396 women (1 203 929 person-years) (Table 1). Follow-up data through June 1, 2006, are available for 91.1% of the study population. Beginning in 1986, participants reported their average time per week (in 10 categories ranging from 0 minutes to ≥11 hours) during the preceding year spent doing any of the following activities: walking or hiking outdoors, jogging, running, bicycling, lap swimming, tennis, calisthenics/aerobics/aerobic dance/rowing machine, and squash or racquet ball. In addition, participants reported their usual walking pace (easy/casual, <2.0 mph; normal/average, 2.0-2.9 mph; brisk, 3.0-3.9 mph; or very brisk/striding, ≥4.0 mph) and the number of flights of stairs climbed daily. These questions were repeated, with minor modifications, in 1988, 1992, 1996, 1998, 2000, and 2004 (questionnaires are available at http://www.nurseshealthstudy.org). To compare each activity by intensity and to create a score of total activity weighted by intensity, metabolic equivalent task (MET) values were assigned to each activity according to previously established criteria.25 The MET scores for walking were assigned on the basis of pace, and an intensity score was selected for each of the other activities. We calculated MET hours (MET-h) per week for each activity by multiplying the MET score and reported hours per week; values from individual activities were summed for total MET-h per week. Because women may expend different amounts of energy in some activities, such as bicycling and tennis, moderate/vigorous activity was defined as brisk or very brisk walking, jogging, or running. Physical activity data were carried forward when not included on biennial questionnaires (eg, 1988 data used in the 1990-1992 follow-up), but data were not carried forward when women failed to answer physical activity questions (eg, 1996 data were not carried forward if a woman was missing 1998 data). The validity of this physical activity assessment has been tested among 151 participants in the Nurses' Health Study II, a cohort of younger women.26 Although the questionnaire underestimated moderate/vigorous activity compared with four 7-day activity diaries, the correlation for MET-h per week of moderate/vigorous activity was fairly good (r = 0.62), suggesting that the questionnaire is reasonably valid for ranking participants. For walking, the primary activity among the participants in our analysis, the correlation was 0.70. Invasive breast cancer cases, diagnosed from 1986 through May 2006, were identified on the biennial questionnaires; the National Death Index was searched for those who did not respond. To confirm cancer reports and abstract information on tumor characteristics, medical records were reviewed by investigators blinded to exposure status. Records were unavailable for 248 (5.2%) of 4782 cases. Given that pathology reports confirmed 99% of the reported cases, diagnoses confirmed by the participant but missing medical record confirmation were included as cases in this analysis. Age was calculated from birth date to questionnaire return date. Age at menarche, height, and age at first birth were queried in 1976. Weight at 18 years of age was assessed in 1980. Information on parity was collected biennially until 1984. History of breast cancer in the participants' mothers and sisters was queried in 1976, 1982, and every 4 years since 1988. Alcohol consumption was assessed with a semiquantitative food frequency questionnaire every 4 years from 1986. Information on mammograms was collected biennially starting in 1988. Current weight, menopausal status, age at menopause, PMH use, and diagnosis of benign breast disease were assessed biennially. We calculated person-years from the baseline questionnaire return date to the first date of diagnosis of breast or other cancer (except nonmelanoma skin cancer), death, or June 1, 2006. Cox proportional hazards models, stratified jointly by age in months and follow-up year at the beginning of each 2-year questionnaire cycle, were used to calculate adjusted hazard ratios (HRs) and 95% confidence intervals (CIs). Multivariate models controlled for several breast cancer risk factors (see the footnote in Table 2), using time-dependent covariates for exposures updated throughout follow-up; missing indicators accounted for missing data (11% for BMI at 18 years of age, 6% for PMH use, and ≤2% for age at menarche, age at menopause, parity and age at first birth, and alcohol consumption). The proportional hazards assumptions were tested by including interaction terms between exposure and time or age and comparing the interaction model with the model without the interaction terms by means of a likelihood ratio test. In all cases, the likelihood ratio test findings were not significant, indicating that the proportional hazards assumptions were met. Physical activity was modeled categorically (<3, 3 to <9, 9 to <18, 18 to <27, and ≥27 MET-h/wk) and continuously, using MET-h per week to assess the magnitude of the association per 20 MET-h/wk or the midpoints of the categories to perform a Wald test for trend. Categories were chosen to correspond to the equivalent of less than 1, 1 to less than 3, 3 to less than 6, 6 to less than 9, and at least 9 hours of walking at an average pace per week. We assessed the importance of timing of activity by modeling baseline activity (1986) and activity updated throughout follow-up. Activity was updated in the following 2 ways: simple update, using the most recently reported activity, and cumulative average, using the mean MET-h per week from all previous physical activity assessments as a measure of long-term physical activity. Change in activity after menopause was assessed by cross-classifying activity level at the time a woman became postmenopausal (or 1986 for women already postmenopausal at baseline) with activity at each questionnaire cycle through follow-up (1988-2006), using a dichotomous measure (<9 or ≥9 MET-h/wk). This cut point was chosen because 9 MET-h/wk is equivalent to 3 hours of walking at an average pace per week or 30 minutes on most days of the week. Specific types of activity were modeled simultaneously using continuous MET-h per week. To assess whether the association between physical activity and breast cancer risk varied across levels of other risk factors, we tested interaction terms between activity and the potential modifier in multivariate models using the Wald test. To assess whether the associations differed by estrogen and progesterone receptor (ER/PR) status of the tumor, we used a competing risks Cox proportional hazards regression model stratified by 3 end points (ER/PR-positive, ER/PR-negative, and no breast cancer) as well as age and time period.27 We used a likelihood ratio test to compare a model with separate physical activity estimates in each case group with a model with common estimates. We also assessed the association with physical activity by ER status alone and ductal and lobular status. Although our main analysis was restricted to invasive cases, we performed a secondary analysis that included invasive and in situ cases. All analyses were conducted using SAS statistical software (version 9; SAS Institute, Inc, Cary, North Carolina). All P values were based on 2-sided tests and considered statistically significant at P ≤ .05. During follow-up, we documented 4782 cases of invasive breast cancer. Women who were more physically active were more likely to use PMH, to have had a recent mammogram, and to have a history of benign breast disease (Table 1). Physically active women also tended to have a lower BMI, to have gained less weight since 18 years of age, and to consume more alcohol. Brisk walking was the most frequent activity in the highest category of physical activity throughout follow-up. We did not observe an association between baseline total activity and breast cancer risk (≥27 MET-h/wk [the equivalent of approximately 7 h/wk of brisk walking] vs <3 MET-h/wk: multivariate HR, 0.91; 95% CI, 0.83-1.01; P = .20 for trend) (Table 2). However, significantly lower breast cancer risks were associated with higher activity using both the simple update and cumulative average assessments, with comparable HRs (≥27 vs <3 MET-h/wk: multivariate HR, 0.85; 95% CI, 0.78-0.93; P < .001 for trend for simple update, and HR, 0.88; 95% CI, 0.79-0.98; P = .003 for trend for cumulative average). Multivariate-adjusted HRs were slightly lower than age-adjusted HRs. No covariate changed the HR greater than 2%, but adjusting for BMI at 18 years of age, PMH use, age at menopause, alcohol consumption, and history of benign breast disease accounted for most of the differences in HRs. As with baseline total activity, baseline moderate/vigorous activity was not related to breast cancer risk. Hazard ratios for both simple updated and cumulative average moderate/vigorous activity were slightly stronger than for total activity (≥27 vs <3 MET-h/wk: HR, 0.83; 95% CI, 0.70-0.98; P = .007 for trend for simple update, and HR, 0.85; 95% CI, 0.69-1.05; P = .009 for trend for cumulative average). We assessed the association of change in activity by cross-classifying women by activity levels at the time they became postmenopausal (or 1986 for those who were postmenopausal at baseline) and current activity levels, updated throughout follow-up (Table 3). Compared with the least active women at both periods (<9 MET-h/wk), women who increased activity from less than 9 MET-h/wk at menopause to at least 9 MET-h/wk during follow-up were at a reduced breast cancer risk (HR, 0.90; 95% CI, 0.82-0.98). In addition, those who were most active at menopause and during follow-up (≥9 MET-h/wk) had a suggested lower risk (HR, 0.93; 95% CI, 0.86-1.00). However, women who were active at menopause but became less active during follow-up were not at a reduced risk (HR, 0.97; 95% CI, 0.87-1.07). To assess the importance of individual types of activities, we included all specific activities in a single statistical model. Only brisk walking was associated significantly with a lower breast cancer risk (per 20 MET-h/wk [equivalent to 5 h/wk]: HR, 0.91, 95% CI, 0.84-0.98; P = .01). Hazard ratios for most other activities were less than 1.00, but the 95% CIs for each activity overlapped the HR for brisk walking. The association between total activity and breast cancer risk did not differ significantly between ER/PR-positive (n = 2632 cases) and ER/PR-negative (n = 690 cases) tumors (P = .65 for heterogeneity). Although the trend was statistically significant for ER/PR-positive tumors (P = .004) but not for ER/PR-negative tumors (P = .18), estimates for at least 27 vs less than 3 MET-h/wk were similar between the 2 subtypes (HR, 0.86; 95% CI, 0.76-0.97 for ER/PR-positive, and HR, 0.85; 95% CI, 0.68-1.07 for ER/PR-negative tumors). The association also did not differ when evaluated by status of ER alone (P = .51 for heterogeneity) or by ductal or lobular subtype (P = .60 for heterogeneity) (data not shown). Results were not appreciably different when in situ cases (n = 943) were included (data not shown). Because body weight is a potential mechanism by which activity may exert an effect on breast cancer risk, we did not include weight change or current BMI in our multivariate model. When we added weight change since 18 years of age to the multivariate models, HRs were attenuated but the inverse associations remained (eg, for simple update total activity ≥27 vs <3 MET-h/wk: HR, 0.90; 95% CI, 0.82-0.98; P = .006 for trend). Nearly identical results were observed when we used BMI instead of weight change (data not shown). Adjustment for weight change slightly attenuated the associations with ER/PR-positive and ER/PR-negative tumors, although the attenuation was greater for ER/PR-positive tumors (data not shown). To ensure that preclinical disease did not affect the association observed, we repeated the analyses using a 2-year lag (eg, 1986 activity for the 1988-1990 follow-up period); results were essentially unchanged (data not shown). To examine whether increased screening associated with healthy behaviors affected our results, we adjusted for mammograms in the past 2 years; results were unchanged. We investigated whether other factors modified the association between total activity and breast cancer risk, including BMI (<25 vs ≥25), weight change since 18 years of age (<10 vs ≥10 kg), PMH use (never vs ever), family history of breast cancer (yes vs no), and mammograms in the past 2 years (yes vs no) (data not shown). We observed similar associations between activity and risk in each of these comparisons (P ≥ .30 for interactions). For example, HRs for at least 27 vs less than 3 MET-h/wk were comparable in each strata comparing BMI of less than 25 vs at least 25 (HR, 0.88 and 0.91, respectively; P = .70 for interaction) and PMH use never vs ever (0.89 and 0.88, respectively; P = .54 for interaction). In this large prospective study with 20 years of follow-up, higher levels of both recent and long-term total and moderate/vigorous physical activity were associated with lower breast cancer risk among postmenopausal women. The main activity observed in this population, brisk walking, was associated with a reduced breast cancer risk. Women who engaged in low activity levels at the menopause transition and increased their activity levels were at a reduced breast cancer risk compared with those who remained sedentary. Weight change since 18 years of age, BMI, PMH use, and family history of breast cancer did not modify the association between total activity and breast cancer risk. In addition, the association did not differ by ER/PR status or by ductal or lobular subtype. Many other large (>500 cases) prospective studies have assessed the association between physical activity and breast cancer risk among postmenopausal women, and most,8-13,16,17,19 but not all,14,15,18 have observed lower risks overall with activity. Our results have confirmed this association, and we have elaborated on the relationship between activity and breast cancer risk in several important ways. Whether past or recent physical activity is important in the etiology of breast cancer among postmenopausal women has not been thoroughly explored until now. Although some studies have assessed long-term activity or activity in early adult years,9-11,17,28 few studies have focused on the importance of recent activity, which is most relevant for public health recommendations for women who are currently postmenopausal. Although previous studies have used baseline or recalled measures of physical activity,8-19,28 ours is the first large study, to our knowledge, to assess updated physical activity measures among postmenopausal women and change in activity since menopause. Although most studies using baseline assessments of activity have observed lower risk with higher activity, follow-up for most of these studies was less than 10 years.9-11,17,19,28 We did not observe an association between baseline activity and breast cancer risk during a 20-year follow-up, nor did 3 other studies with follow-up of more than 10 years,14,15,18 suggesting that baseline measures may not accurately predict risk over longer periods. Our finding of lower risk with higher recent activity in postmenopausal women suggests that activity appears to exert a protective effect during postmenopausal years. Indeed, our finding of reduced risk with increased activity since menopause suggests that it is not too late for postmenopausal women to modify their activity habits to influence breast cancer risk. Several studies have isolated moderate and/or vigorous activity to assess the association with intensity, with most finding stronger associations with more strenuous activities, similar to our findings.12,17,18 To our knowledge, no other studies have assessed specific types of activity. Although we cannot clearly determine the benefits of other activities, our finding that brisk walking is associated with lower breast cancer risk suggests that women do not need to engage in intense activities to appreciate a benefit. Whether the association between activity and breast cancer risk differs by risk factor status is unclear from the literature to date. For instance, while some studies have observed stronger associations among leaner women,11,16,18 some have observed stronger associations among overweight women,19 and others have found no differences by BMI.9,12,28 We observed similar risk reductions among active lean and overweight women. Similar to our findings, most11,12,16,28 but not all10,19 studies have observed similar associations between activity and breast cancer risk by PMH use. Our findings suggest that women of all sizes and hormonal therapy status will benefit from daily moderate-intensity activity. The relation between activity and breast cancer by hormone receptor subtype has been investigated in a few studies, with conflicting results. Although stronger associations with ER-negative breast tumors were observed in the California Teachers Cohort (highest vs lowest category of strenuous activity: relative risk [RR], 0.89; P = .23 for trend for ER-positive tumors [1879 cases], and RR, 0.45; P = .003 for trend for ER-negative tumors [345 cases])17 and the National Institutes of Health–AARP (formerly known as the American Association of Retired Persons) cohort (highest vs lowest category of activity: RR, 0.97; P = .64 for trend for ER-positive tumors [2083 cases], and RR, 0.75; P = .03 for trend for ER-negative tumors [411 cases]),19 we did not detect a significant difference by ER or ER/PR status. It is possible that adjustment for BMI in the California Teachers Cohort contributed to this finding because adjustment for BMI attenuated the association with ER/PR-positive more than with ER/PR-negative tumors in the Iowa Women's Health Study13 and our own analysis. This study has several strengths, including the large cohort size and long follow-up. Validated, updated information on physical activity allowed us to assess recent and long-term activity and change in activity throughout follow-up. In addition, extensive and updated information on other risk factors allowed us to adjust for potential confounding factors. However, there are also limitations. Physical activity was self-reported and aimed to assess average annual activity. Although this is an imperfect measure, previous validation of this questionnaire suggests that this is a reasonable way to rank individuals. In addition, we have observed significant associations between this measure of physical activity and other chronic diseases, including diabetes, stroke, and coronary heart disease.29-31 Given that the correlation between the questionnaire and four 7-day activity diaries was 0.62,26 it is likely that we have underestimated the true association between physical activity and breast cancer risk. Although the homogeneity of the study population is another potential limitation, it is unlikely that the observed associations between activity and risk differ substantially from the general population. In conclusion, our results confirm the association between higher levels of physical activity and lower postmenopausal breast cancer risk and suggest that recent activity is important. 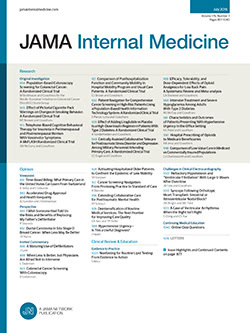 The equivalent of 5 h/wk of brisk walking was sufficient to reduce the risk of breast cancer, an amount consistent with the US government's guidelines for adults to achieve additional health benefits beyond minimal activity.32 The lack of significant difference by ER/PR status, BMI, and PMH use and the attenuation but not elimination of the association with adjustment for weight change suggest that activity may be acting, at least in part, on a nonhormonal pathway. Our findings suggest that moderate physical activity, including brisk walking, may reduce postmenopausal breast cancer risk and that increases in activity after menopause may be beneficial. Correspondence: A. Heather Eliassen, ScD, Channing Laboratory, Department of Medicine, Brigham and Women's Hospital, 181 Longwood Ave, Boston, MA 02115 (heather.eliassen@channing.harvard.edu). Accepted for Publication: March 12, 2010. Author Contributions: Dr Eliassen had full access to all the data in the study and takes responsibility for the integrity of the data and the accuracy of the data analysis. Study concept and design: Eliassen, Hankinson, and Holmes. Acquisition of data: Hankinson. Analysis and interpretation of data: Eliassen, Hankinson, Rosner, Holmes, and Willett. Drafting of the manuscript: Eliassen. Critical revision of the manuscript for important intellectual content: Eliassen, Hankinson, Rosner, Holmes, and Willett. Statistical analysis: Eliassen, Rosner, and Willett. Study supervision: Hankinson. Funding/Support: This study was supported by research grant CA87969 from the National Cancer Institute (Drs Hankinson and Willett). Role of the Sponsor: The funding organization had no role in the design and conduct of the study; in the collection, management, analysis, and interpretation of the data; or in the preparation, review, or approval of the manuscript. Additional Information: An Invited Commentary for this article will appear in the November 8, 2010, issue. Additional Contributions: We thank the Nurses' Health Study participants for their continuing contributions.